The Moto G5s Plus was an immediate and rapid successor to the Moto G5 Plus, which arrived in less than six months after the G5s. It is not exactly clear as to why Lenovo (current Motorola owner) decided for a quick-fire replacement. However, considering it not being uncommon in the present day mobile market – it is not surprising. With a 5.5inch screen display, the phone returns to the root of the ‘plus’ lines. Considering the slow progress in terms of camera quality, processor power, and screen display technology from the Moto G5s, there is a significant improvement in its built quality. That being said, the G5s Plus no longer exists in the top-list of Motorola’s budget series line-up. 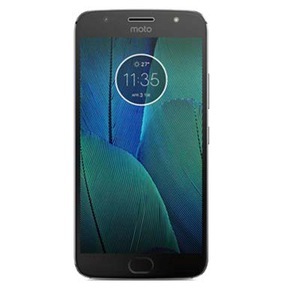 Moreover, with the recent arrival of the Moto G6 and Moto G6 Plus offering the latest specs for a still-lower prices, the G5s and G5s plus seem to lag behind in the game. Do you want to sell your old Moto G5s Plus? Cashify is the perfect online service for you. Cashify is your go to online service website if you are considering selling your old mobile . A major advantage with Cashify is that it suitably allows you to sell used phones so right from the comfort of your home. Not only that, Cashify is also an exclusive exchange partner of various worldwide smartphone brands - including Xiaomi, OnePlus, Apple and various others. 1. Put in specific details of your gadget (condition, age, warranty, etc.) onto Cashify’s automatically generated, transparent pricing model. 2. Based on the provided inputs, Cashify will immediately offer you the best, but fair price for your used mobile. 3. Cashify agents will then arrive at your doorstep to inspect and pick up your gadget, along with the choice of payment selected - cash, e-wallets, or even bank transfers. If your phone is not as appealing anymore as it was during you purchase, head over to Cashify, and sell it for the best available price. Cashify is the most trusted platform in India to sell mobile phones and other gadgets online for instant cash on pickup. Schedule a pickup now!